It’s fair to say that the solo travel market is continuing to boom. According to recent figures collated by Solo Traveller World, it found that in some cases 80% of millennials are now opting to travel solo. 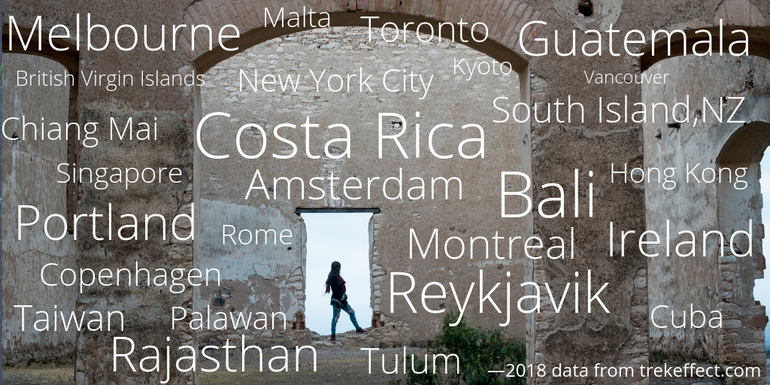 On top of this, “searches for solo female travel grew by 52% between 2016 and 2017″, with 38% of those who have travelled solo before saying they’d do it again. Even when I asked the question around the office as to whether people would travel around the world solo, most of the guys said “No! !” and the ladies said they would. Maybe a new sense of freedom amongst females, feeling empowered by the 2015 This Girl Can campaign, or simply getting caught up in the Eat Pray Love hype…who knows and frankly, who cares?! I think it’s great that it’s a growing industry that’s so well supported with a plethora of operators even specialising in female only travel. In saying that, solo travel can be far more risky than travelling with a companion, even more so if you are female. So what would we advise to keep in mind when you set off on your journey of self discovery? 1. Do your research before you leave. Whether you’re just travelling to a few countries or off around the world, having an itinerary planned before hand can prove invaluable. It’s smart to leave these details with a family member back home so they know where you are. Having said that, remain fluid when choosing where you stay; if you arrive and the establishment isn’t what you were expecting, tell them so and move hotels. If you feel unsafe, you may come across as vulnerable and therefore become an easy target. If you do change your mind, let someone back home know! Be familiar with dress codes in different locations – Small shorts, slogan tee’s and Havaianas scream tourist so you’ll stand out by a mile! You should also check if a country you’re visiting has any specific dress codes; make sure you know these to avoid causing offence or getting into trouble. Have a read of our Social Etiquette Abroad blog for lots of helpful info! 2. Try to blend in. In keeping with the first point, trying to look like a local is the easiest way to avoid attention. 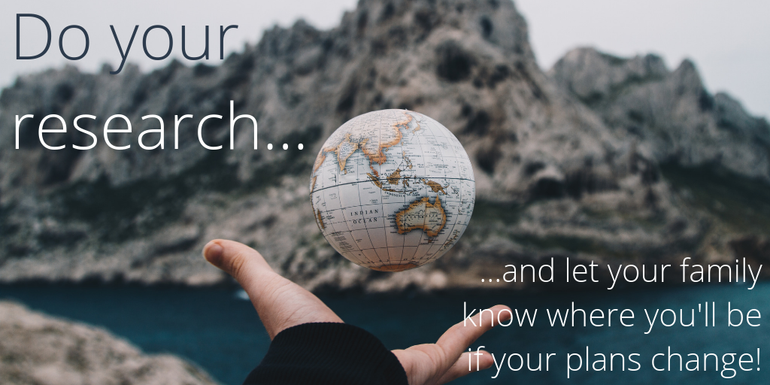 This may be harder if you are visiting places such as Japan or Thailand (and look neither Japanese nor Thai) so instead, pass yourself off as an expat. 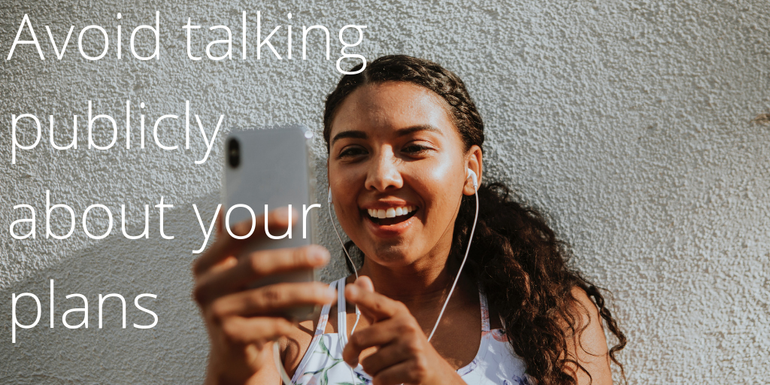 Learning a little bit of the language if you can is also ideal – it shows you have made an effort and are interested in your surroundings whilst also having a little bit of savvy local knowledge in your locker, too. Remember to be confident, and even if you’re not, act like you are. Stride as though you have somewhere to be and ignore any harassment; you’ll notice the locals do it too. Top Hack Idea: When out and about, rather than always carrying a bag, grab a local grocery store bag and pop your belongings in that instead – you’ll look more like you’re just shopping rather than sight seeing and pickpockets are less likely to pinch a bag of food! Yes, many people will tell you not to take anything too valuable with you, and in the sense of expensive jewellery, heirlooms or your birth certificate, certainly take this advice! Most will take with them a smartphone at the very least, with some taking tablets and expensive cameras too. If you chose to, make sure that when you venture out, you only take with you what is needed – anything else should be safely stored where you are staying; make use of those hotel safes! Ensuring you have adequate insurance is also a must; be sure to have this sorted prior to the trip and shop around for the best deals. Top Hack Idea: When carrying cash, keep it close to your body and in small quantities. It’s smart to carry emergency money with you too – make sure this is stored under your clothes or in a shoe! You will need to be more aware of yourself when travelling alone. You won’t have anyone to take that 10th shot out of your hand or convince you the concoction swirling in a fluorescent bucket no longer looks appealing. 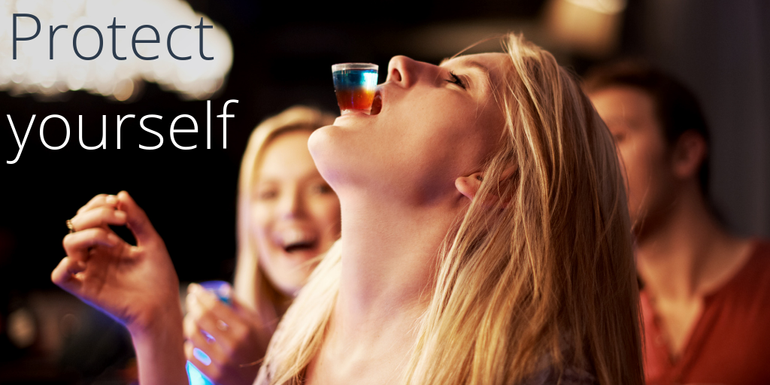 Try and keep drinking to a minimum to avoid any unnecessary trouble, and save your money! Some women like to adopt a fake wedding ring to ward off unwanted attention and others advise that you stay well connected to females around you; hotel reception staff or a group leader if traveling this way are always safe bets. Ask them to advise on the best places to visit or to book you a cab for example. If you are travelling alone within a tour group, avoid trusting people too quickly; a 5 minute dash to the toilet could lead to vanished valuables – and how are you to trust them when they say they don’t have your stuff?! 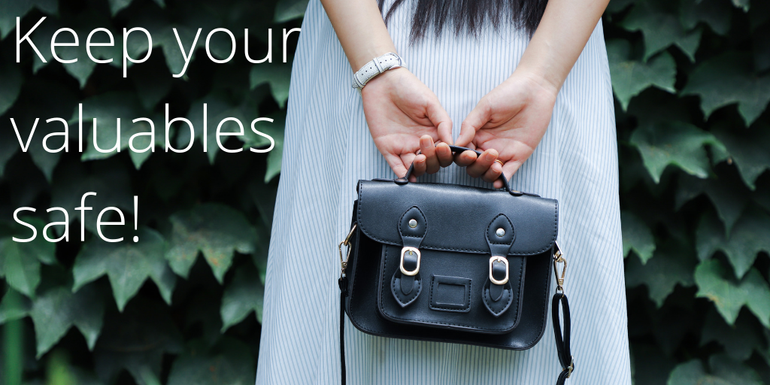 Top Hack Idea – Carry a fake purse, filled with used gift cards, bits of paper and small change – in the horrid case that you are mugged, hand over the fakery and keep your cash! When you do head out, make sure your phone is always charged. If a power point is not available, invest in a pocket charger; this will become invaluable. Whether you choose to check in via email, social media, Skype or a phone call, make sure to do so regularly; at least once a week! Not to annoy everyone on your newsfeed with amazing pictures, but to keep your friends and family’s minds at ease; knowing that you’re having fun is one thing, but knowing you are safe is more important. When you can, try and opt for internet cafes or hotel computers for social media updates or emails- saves you paying extra on roaming fees, keeps those batteries charged and you won’t be flashing your phone at all times. However, for any vocal communication, especially if talking about where you’re staying or heading next, keep that to the confines of your accommodation. Top Hack Idea: Feeling a little apprehensive about getting in a taxi? Make a call to a loved one for a random chat, dropping in the taxi driver’s licence number that should be displayed. Likewise, pretend you’re meeting someone and ‘call’ them, saying where you are and how long you’ll be. We are! Travelling should be a fun experience, a chance to make memories that last a lifetime and to do a little self discovery, but your safety should always be your priority. Trekeffect.com have a great blog on the best (and safest) locations for solo female travel which we have detailed below to inspire your next trip. Check out the blog for more info on these beautiful destinations! So there you have it, your definitive guide to solo female travel! Have you ever travelled alone? Let us know about your experiences. 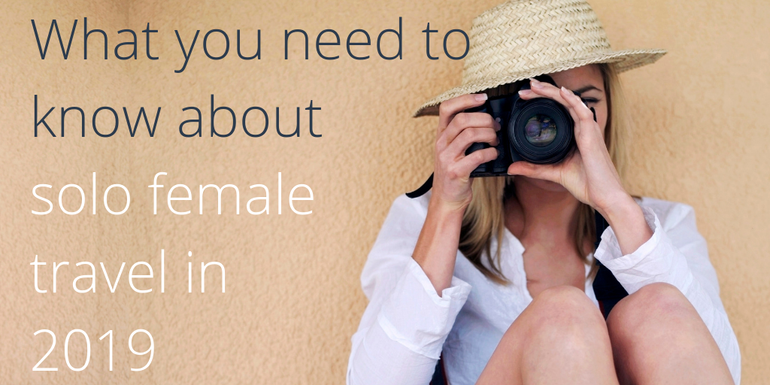 Remember though, although this blog has focussed on female solo travel, most of it is certainly transferable to any guy travelling by himself, so please share this information with anyone thinking of jetting off. Be Smart. Be Safe. Have Fun!